The art of vaping and the assorted flavors that come with it are all part of the package that has come under scrutiny by members of the FDA and the federal government. 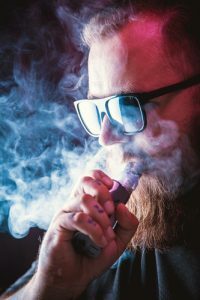 Now, you might know that the custom of vaping is at the front of the battle lines, but what you might not know is that the idea of flavors is also being criticized. Why would people disapprove of the presence of flavors? It seems like a innocent bystander or simply a minimal side component in all of this havoc. Nevertheless, the argument is that flavors make vaping addictive and can entice more children for their taste attractiveness. As federal regulations begin to change and attitudes begin to establish, there is one thing that vapers want people to understand: vapers need flavors. Why? Because we like the taste? That’s a great bonus, but it’s actually because it helps vapers separate themselves from the taste of tobacco, aiding most in deserting the dangerous smoking habit. Aside from the initial advantage of tasting something other than tobacco or nicotine, vapers want to relish in their renewed sense of smell and taste as they regain it after a presumably long period of time. For many vapers, they are on the road to relinquishing their built up habit of smoking. And flavors play a big role in a successful outcome. Vaping is 95% safer for your health when compared to smoking. So it is a fact that vaping is the better decision for individuals as well as the better alternative for federal leaders to promote. Unfortunately, that’s not yet the case. For now, be factually informed on how flavors can help you or others in the fight for your health. Visit your local vape store in Tyler to find out more about vaping and what e-juice flavors are available.